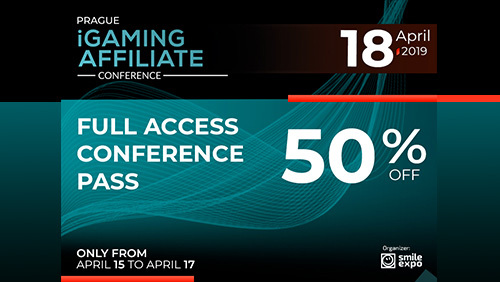 Home Business 50% discount for Prague iGaming Affiliate Conference tickets – last chance! • current state of gambling regulation in Europe. • Raffaela Zillner, Secretary General of the Austrian Association for Betting and Gambling. • bag sponsor – Slotegrator, software solutions provider for online casinos. Previous articleInterview with Tarun Nayyar the CEO/Director of TARSAN MVAS Network.